I bought number 139 about 3 weeks ago and have been wearing it every day since. It is currently at about +2s (in all that time). I just change between storing it dial up and crown down overnight. During the day it keeps perfect dead on time (neither gaining or losing). I guess I lucked out! 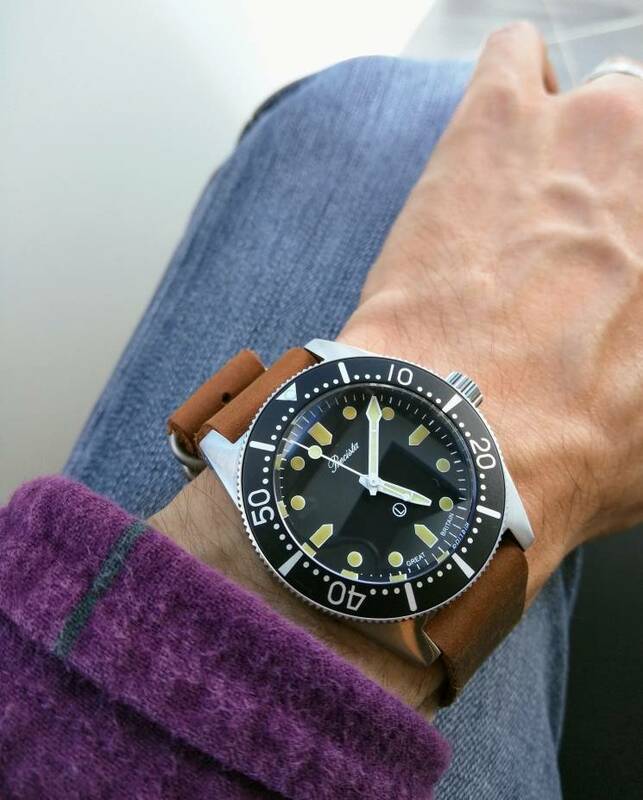 And I just love it on the Erika's Original MN strap! I've just acquired No. 44 and love it. Thanks for the background on #44, we lost track of it after Utrecht! Would love to see your Colareb strap. Insert Image: (looks like a square with 4 points, just left of the filmstrip icon) then point to your image hosting provider of choice. Last edited by redhed18; 6th March 2018 at 23:45. #139 looks to be in amazing condition - I assume because of the early number that it's one of the first batch of ETA 2783's but it looks totally MINT. Need to get in on this Erika action soon. Thanks! It does have the old stock 2783. And I was quite lucky to find one in such nice shape for a good price. It works out since I foolishly let one go a year or two ago. 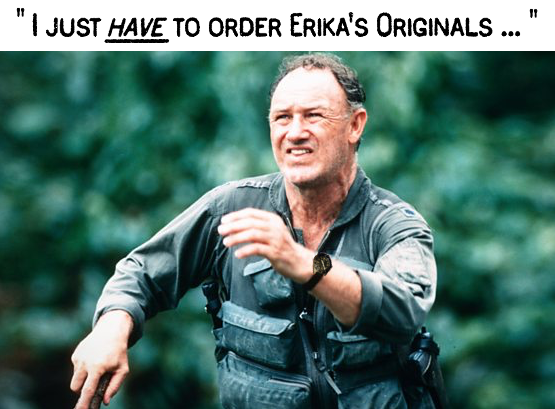 As for those Erika's Original straps, they're a bit spendy, but worth the money. If you get one, be sure to ask for one to use with fixed bars. 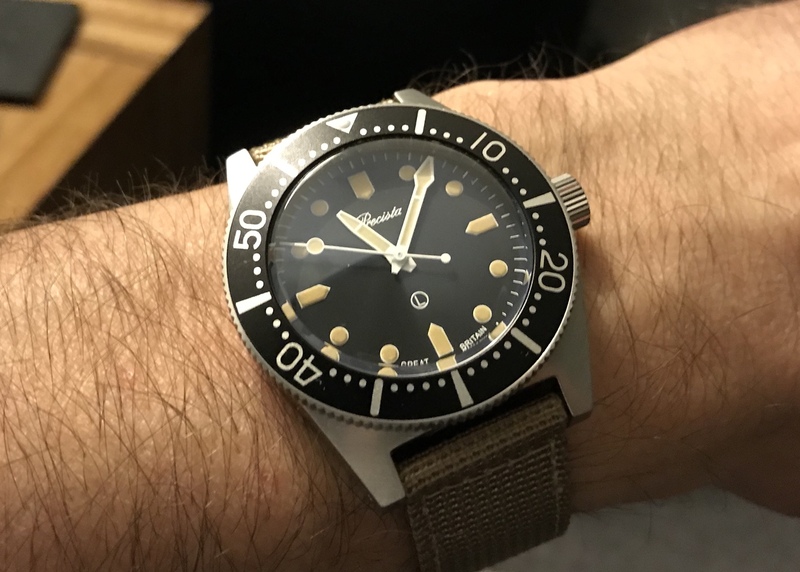 You can obviously use it with removable bars, but they are much more comfortable than the standard MN straps, and as a bonus, they allow the watch head to sit directly on the wrist. Thanks for the welcome Redhead! I've been thinking about joining for a while and now i have one of Eddie's watches i have a good reason! Sorry guys i'm confused (easily done in my case). When i try and upload photos via Google Photos (my host provider) they don't seem to show in the post, only links to the photos. Also when i try and create a library and insert them via the paperclip it does the same. I've read the FAQ's and it's only confusing me more! Any guidance would be much appreciated as i'd like to hang around here more often. Last edited by WillHarris2306; 11th March 2018 at 08:15. 449 is in the Netherlands on a yorkshire mans wrist. Use it as an everyday watch since i owned it, and still love it. Quick (very late) update - I sold #235 a couple of years ago... Mixed feelings about having done so. It's been necessary to close ordering once again due to the very high volume of orders received over the last 24 hours. To give you an idea of the volume, I've received as many orders in 24 hours as I was receiving in 2 weeks last year. I expect to re-open next week. Apologies for any frustration this may cause. Eddie sometimes doesn't update the closure messages so this might be the message from a few weeks ago when the PRS-18 COSC went on sale. He normally opens on a Tuesday so try again tomorrow. Hello, new to TZ & happy to report that #467 is on its way to Washington, DC from Charlotte, NC. Welcome to TZ drunken-gmt-master, and congratulations on 467... you're now the leading edge of the list! That's one heck of a sweater pairing! Sartorial kudos! I sold #235 a couple of years ago... Mixed feelings about having done so. Eeek Darwin, you were covering our Western flank here in Canada! You know what they say, Good things come... to those who shop online. 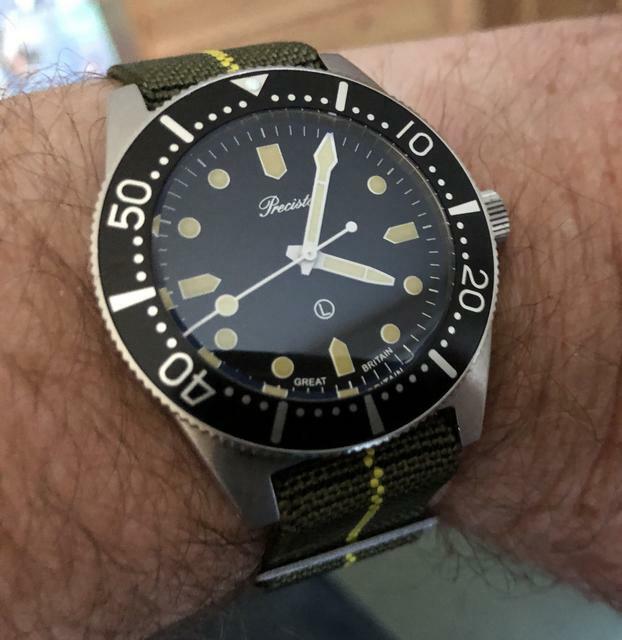 Welcome aboard RAT2410, nice strap! Last edited by redhed18; 5th May 2018 at 01:17. No. 479 just arrived safely in Kuwait. Last edited by Sandpiper; 3rd June 2018 at 13:57. I have the number 488. Arrived on Friday in Melbourne. 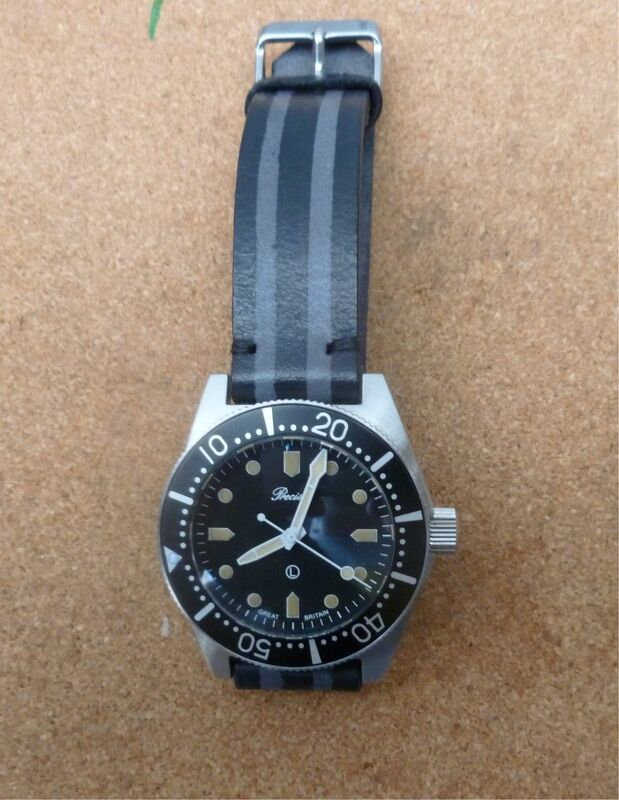 What a beautiful watch! My wrist is so skinny, it is still loose on the first hole. I will have to look for a new strap. 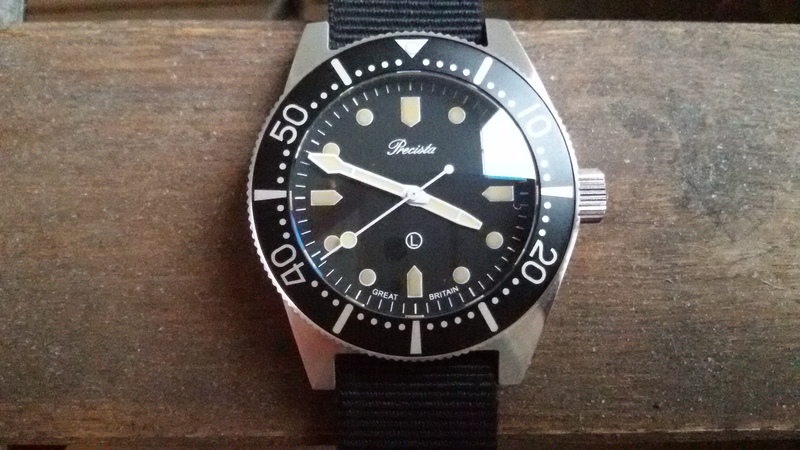 Gents, I am looking for a stainless steel bracelet. Could you please give me the links. Thanks. 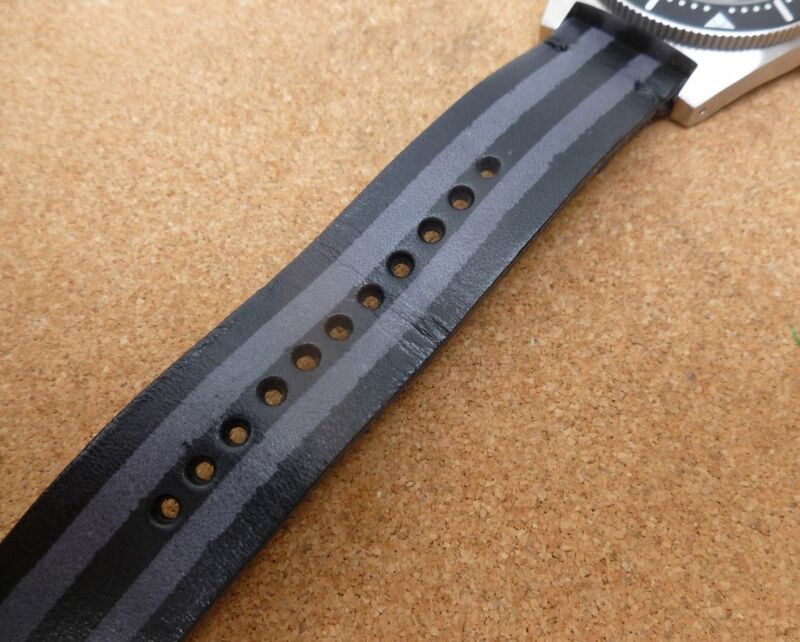 Any 20mm bracelet with straight-ends and a brushed finish is probably going to be fine. e.g. see here for "straight-end"
Last edited by redhed18; 28th July 2018 at 14:10. These are really rather lovely - how do they work on a bracelet? Lovely piece, simple, versatile, camera-shy. Definitely a keeper. Last edited by Diog; 30th August 2018 at 06:32. Number 267 is at home in Alabama. Stewardship of Number 13 has passed to me.